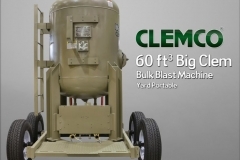 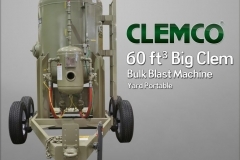 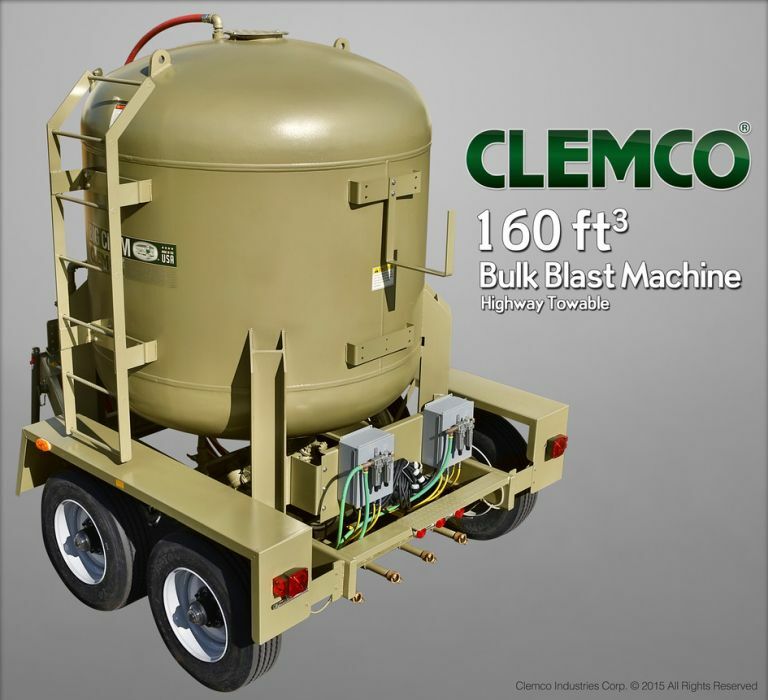 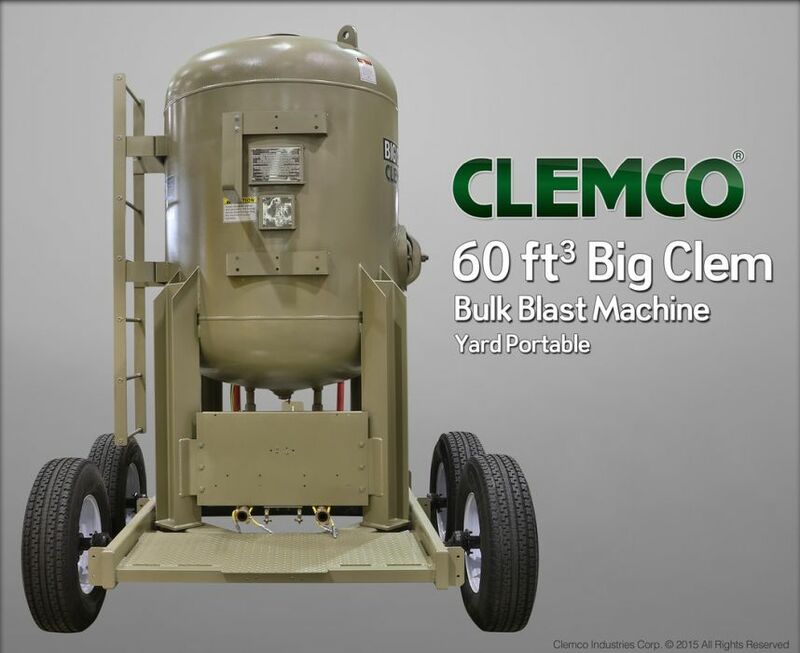 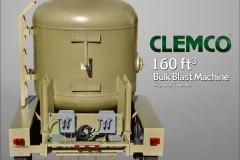 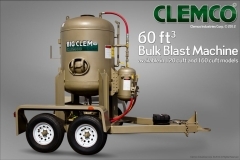 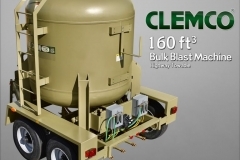 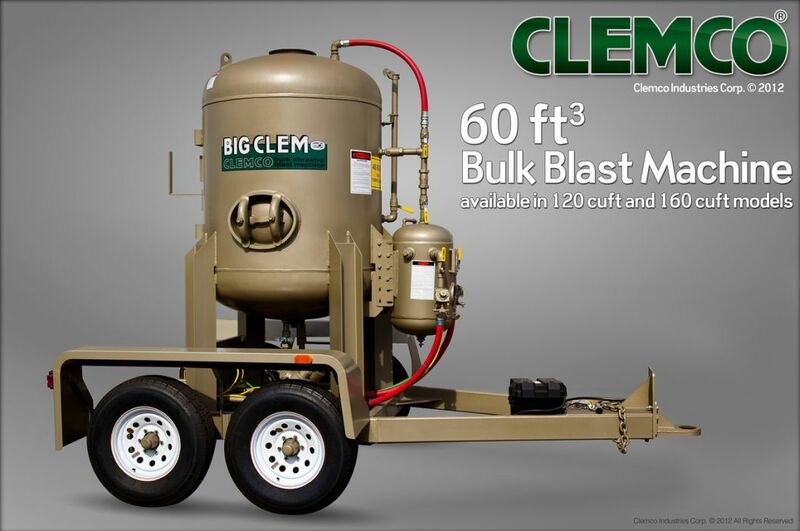 Clemco’s Big Clem multi-outlet, bulk abrasive blast machines are rugged, reliable and efficient. 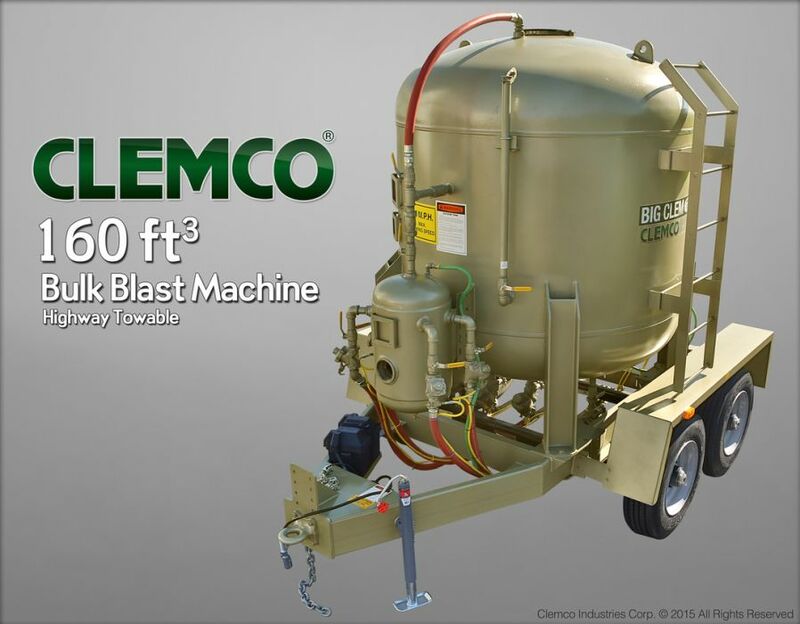 Designed for large jobs where productivity is paramount, this machine can accommodate up to 8 tons* of material per fill – if you have a 6-bag portable machine, that’s the equivalent of a little more than 26full pots! 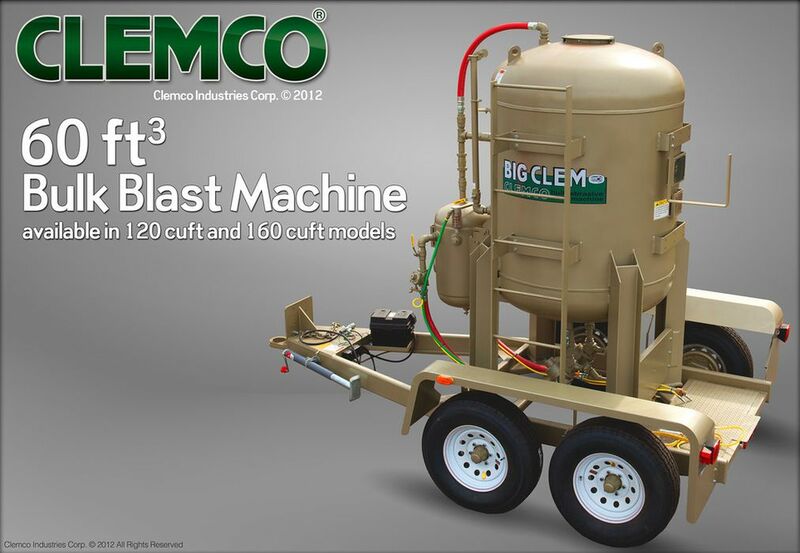 This increased capacity allows for more continuous blasting reducing downtime and increasing productivity. 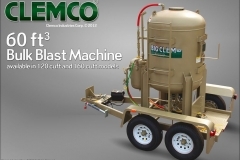 Machines are available in 60 CU FT (3 Ton), 120 CU FT (6 Ton) and 160 CU FT (8 Ton) capacities and larger units have the option of outfitting up to four outlets. 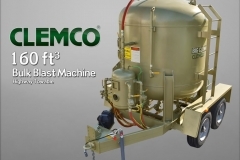 Each outlet comes standard with auto-quantum remote valves, available in electric or pneumatic configurations, which allow each user to start and stop the machine independent of the other operators. 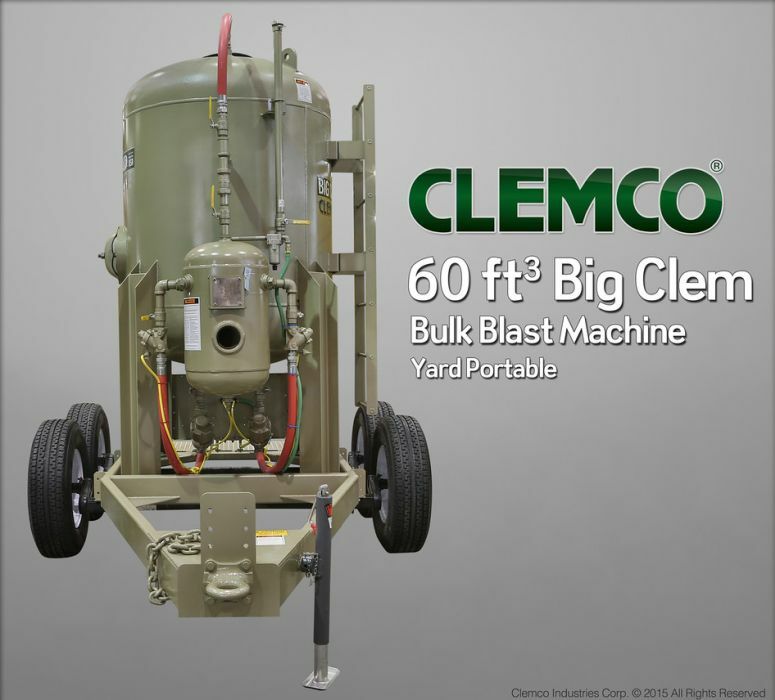 The Big Clem features a pop-up valve design in place of standard camlock closure thus eliminating the potential safety hazards associated with camlock opening or failure under pressure. All machines come standard with a 1,600 CFM moisture separator to help reduce moisture and distribute air evenly to each outlet. 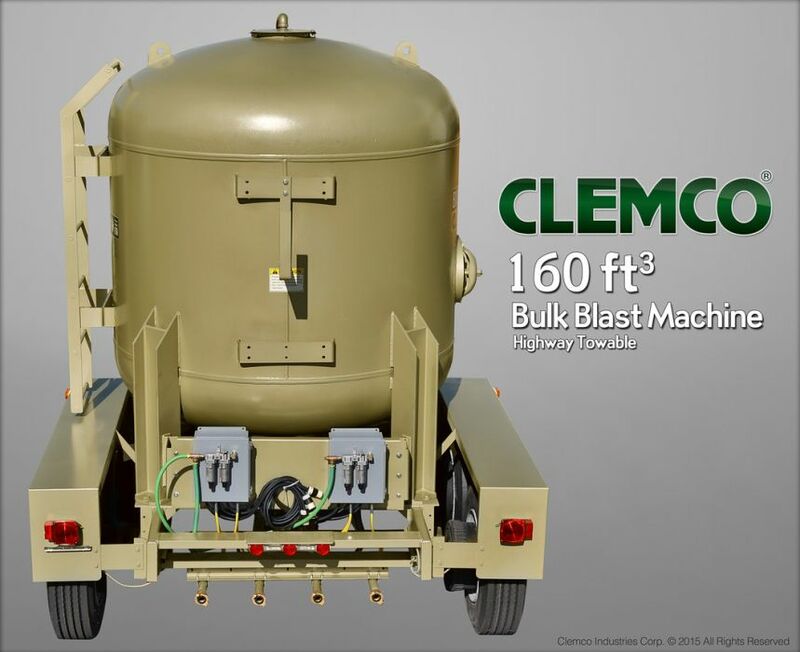 Each unit can be configured to be stationary, attached to a yard towable trailer or mounted on a DOT approved trailer for movement between job sites. 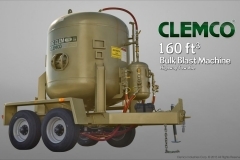 Consult the brochure below for all available options.